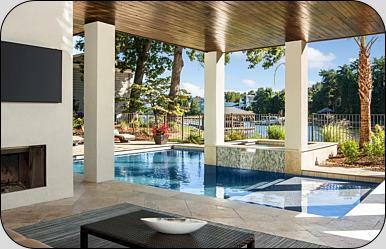 Charlotte Pools & Spas Inc. is and always has been family owned and operated. While celebrating over 10 years in the Lake Norman area our craftsmanship is the centerpiece at elegant homes throughout the Charlotte metropolitan and Lake Norman Areas. We are not a volume based company. We only take 20-25 projects per year to ensure you get the proper attention and the same high quality, custom fit and finish that has made us the areas premiere choice of custom home builders and architects. Our background is pool construction, physically working through each phase of construction has built our knowledge and appreciation for the craft. We are true pool builders and take great pride in our work. No salesmen! The company’s owners are the only designers, construction managers, and sales representatives. We succeed at the impossible. 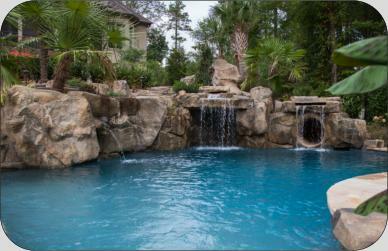 Complex pools, features and difficult situations are our specialty! Unique designs customized to fit your home and your budget. From concept to completion! Explore our site for examples of completed projects and additional information. 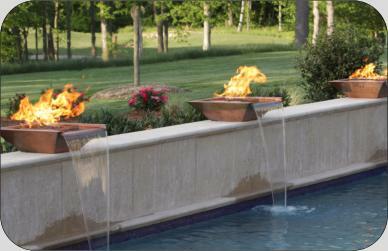 Charlotte Pools and Spas Inc. is and always has been family owned and operated. While celebrating over 10 years in the Lake Norman area our craftsmanship is the centerpiece at elegant homes throughout the Charlotte metropolitan and Lake Norman Areas. Charlotte Pools & Spas, Inc.